If you've been a follower of ours for a while, you know that fighting tax foreclosure is a cause that is near and dear to our hearts here at Loveland. Over the last several years, we've worked hard to bring attention to the systemic issues related to tax assessment and the foreclosures that result, decimating the housing stock and draining Detroit and Wayne County from thousands of residents year after year. 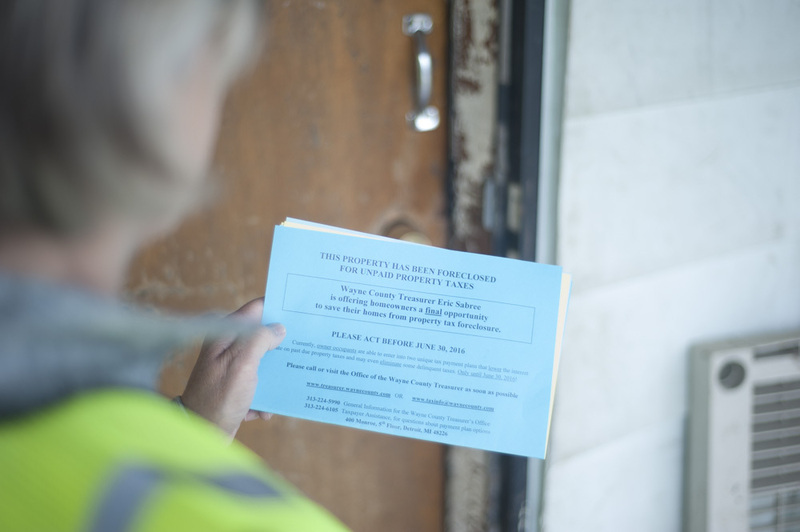 a door-knocking campaign of over 9,000 foreclosed homes that were thought to be occupied. "Recently, I worked on an incredible project to bring some understanding and support to our friends and neighbors in Wayne County who are experiencing property tax issues. 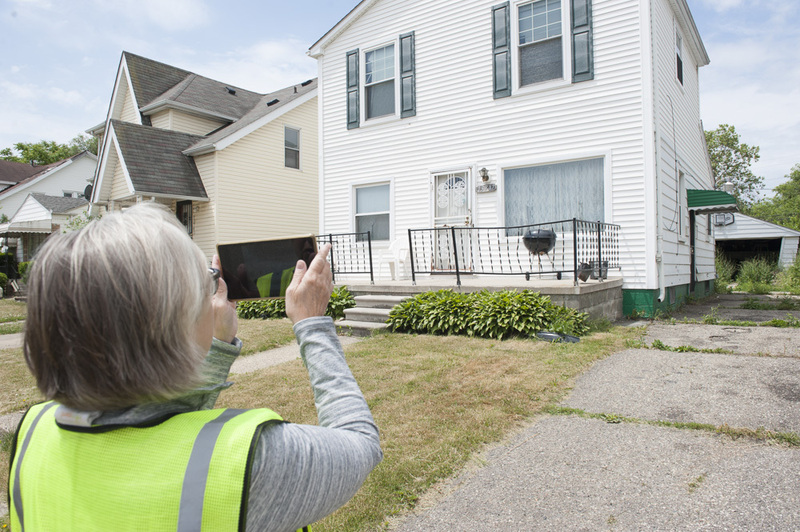 The Loveland Technologies team worked alongside Wayne County Treasurer Eric Sabree and his team, as well as with the United Community Housing Coalition, to mount this large-scale effort and reach out to more than 9,000 potentially occupied homes at risk of foreclosure in 2016. With these partners and colleagues, we were able to use Loveland's software and mobile application to direct neighbors through a series of questions, questions that would direct a conversation and provide some hope and much-needed information to folks in need of tax assistance. "After weeks of dedication and planning, we headed out -- tablets in hand! -- into many Wayne County neighborhoods. With the help of dozens of trained canvassers to reach out one-on-one to our neighbors and fellow Wayne County residents, were able to gather information and provide the support that some of these people didn't know they needed. "Upon making contact with a homeowner, renter or responsible adult living in the property, we asked a simple set of questions; we talked to them about the property's ownership status, it's risk of being foreclosed upon, whether or not they wanted to stay in the home, and other pertinent questions. I, personally, met many good hardworking people that had experienced job loss, catastrophic health events, death in the family, and more. In all, people were receptive, surprised, and grateful that someone cared enough to come to them -- to their home -- and give them hope and direction with the right steps to save their home from foreclosure. We did it in less than 3 weeks! You can see the results of this survey at www.taxforeclosuresurvey.com . "What is Wayne.tax? It is a new Wayne County website that Loveland Technologies created to facilitate property tax inquiries. Upon entering the site, a property owner or interested party will be prompted to perform a quick search of any property in Wayne County. Search results show the property ownership and current tax status. If the property is not up-to-date on its taxes, users will be prompted to click through a simple Q&A that speaks to users in friendly and easy-to-understand terminology. "From here, property owners or interested parties are presented with recommended actions to take to save the home from foreclosure. Included in these suggestions is more information regarding payment plans, free counseling, and other resources. Explore more at wayne.tax and share with your friends and neighbors!" Thanks to Jackie for sharing her experience! The Loveland Team would also like to thank Wayne County Treasurer Eric Sabree and his team, United Community Housing Coalition, the City of Detroit Tax Foreclosure Task Force, Kresge Foundation, and our other partners for helping make these projects possible.